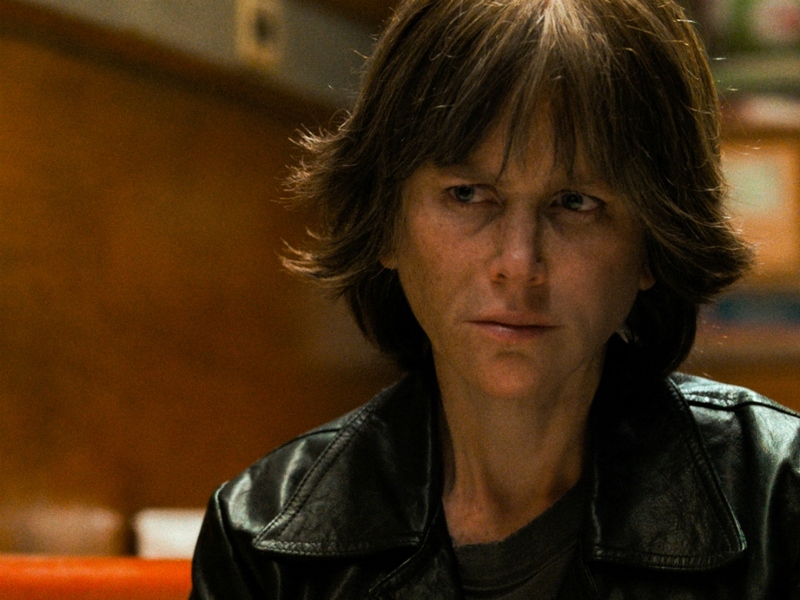 Nicole Kidman has earned critical praise and a Golden Globe nomination for her recent work in the film, Destroyer. The multi-faceted actress plays a cop embroiled in a self inflicted world of chaos and contempt. We caught up with Kidman and the film’s director, Karyn Kusama to chat about everything from gender inequality in Hollywood to the movie’s costumes. NICOLE KIDMAN: Karyn was my rock. When I asked, “Are you sure this will work?” She said, “Yes.” I trusted her. I love the detail. We spent so long trying to find the right leather jacket; that jacket had to be like, "I live in it, its got to be a part of my body." It has got to feel right. That sort of detail is what I crave as an actor. Slowly putting together my characters past from birth to present and how that would affect my body, my face, my psyche—every part was us together. It is rare as an actor that you get to think—to sit there and be allowed to just be. That’s a brave choice as a director. NK: It’s pain, shame, distress, rage, and self-loathing and it’s the desire to somehow heal. It is such a complexity of emotions that flicker the entire time through Erin head. It’s not that she is dead—she just rarely speaks because she has so much going on inside. Then as an actress I was able to play both the young and older character. Sometimes they say, “you can play the older but we are going to cast a younger actress to play the younger character.” The idea of being able to play both—that’s what I was desperate for—because then I could show her life. That’s such a gift because you get to do the whole landscape and tapestry of her life. KARYN KUSAMA: Honestly, Nicole comes from a really feeling place and I never felt like when I was talking to Nicole I was talking to someone strategizing about his or her career. It was really all about where her feelings were. One of the things she said was, “I don’t know if I can do this.” She put herself out on the ledge and was calling me about the role. That was the kind of bravery that was needed for this role. Also, it’s Nicole Kidman—give me a break! I had a sense really early in the process with Nicole on set that this would be a different level of collaboration not just with us but a different level of artistry and depth that I got to be a witness to. NK: We talk so much about changing the statistics. It’s not about taking jobs away from men—it's definitely about creating opportunities for women. So that—if you want to and have daughters that want to—you can go be a cinematographer, director—because there’s a space for them. KK: My director of photography, my editor, my costumer, my first assistant director, my second assistant director, my sound designer, my focus puller—we had a ton of women on set. NK: But our makeup artist was male!